As promised in my previous blog entry, here’s a step-by-step SCCM 2012 R2 CU2 installation guide. 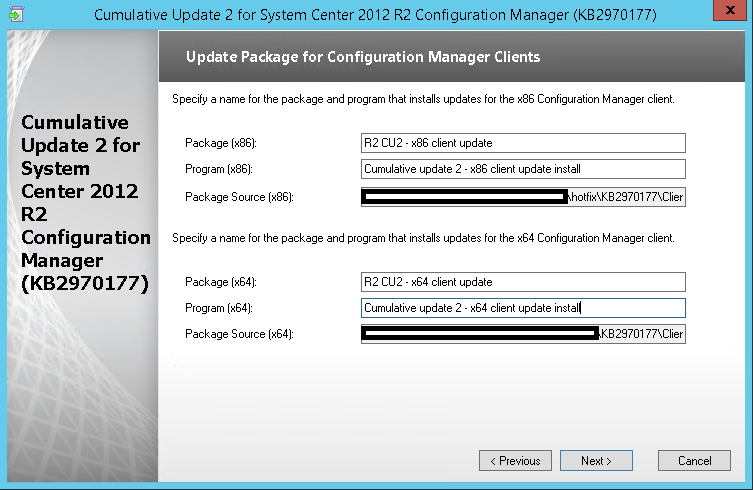 You no longer have download lots of separate hotfix, everything is bundled in a Cumulative Update package. 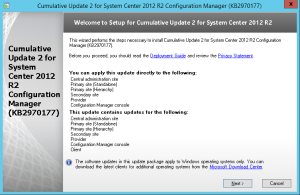 If you haven’t installed CU1, skip it and install only CU2. 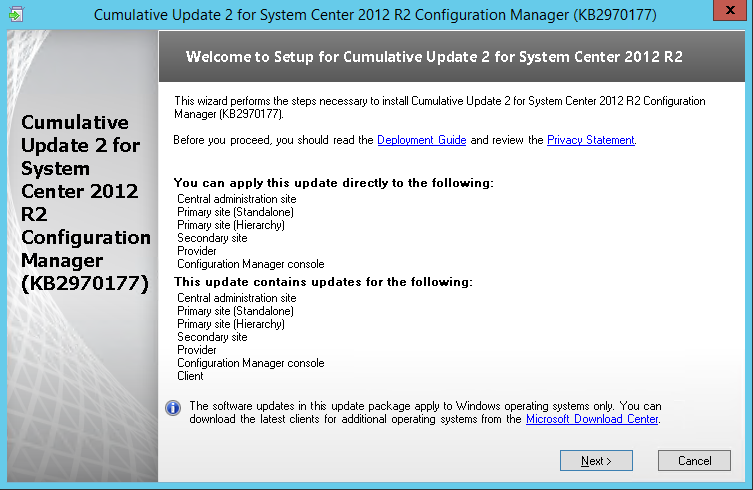 If you have already installed CU1, go ahead and install CU2. Installing this update is very similar to CU1. I’ll guide you through the upgrade process step-by-step in a standalone primary scenario. 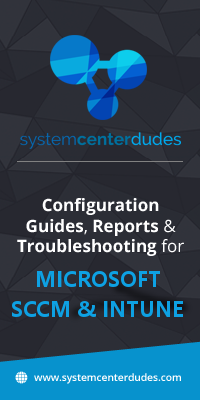 In this guide, I’ll be updating a Primary Site Server, console and clients. 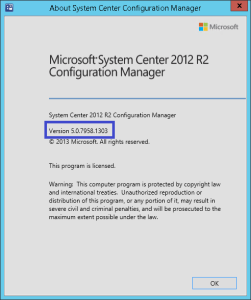 A log file will be created in C:\Windows\Temp\CM12-R2CU2-KB2970177-X64-ENU.log. You can follow the installation process there. Check the box to update the Console and Click Next. Review the summary page, and click Install. 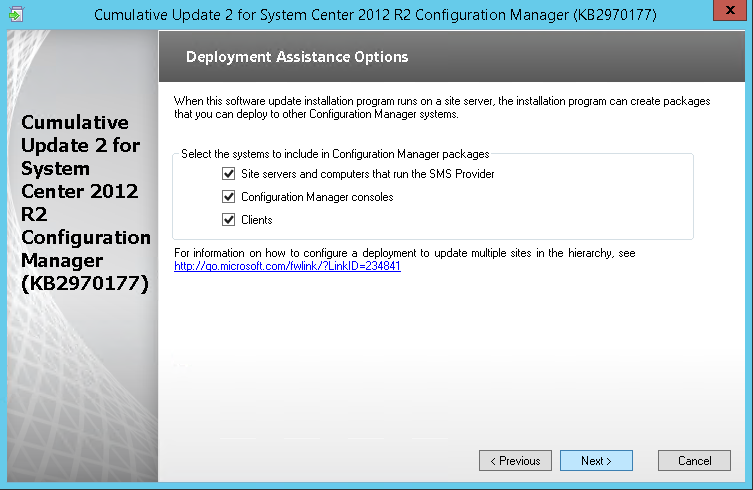 When setup is complete, click Next, and Finish. 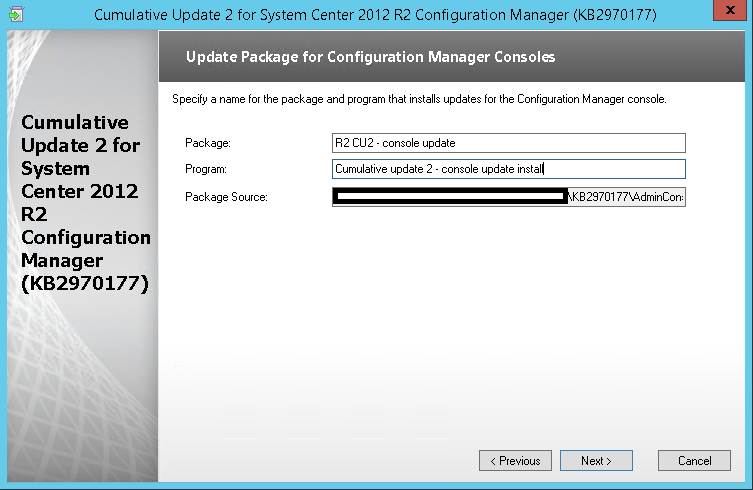 After setup is completed, Launch the System Center 2012 Configuration Manager Console, and verify the build number of the console. 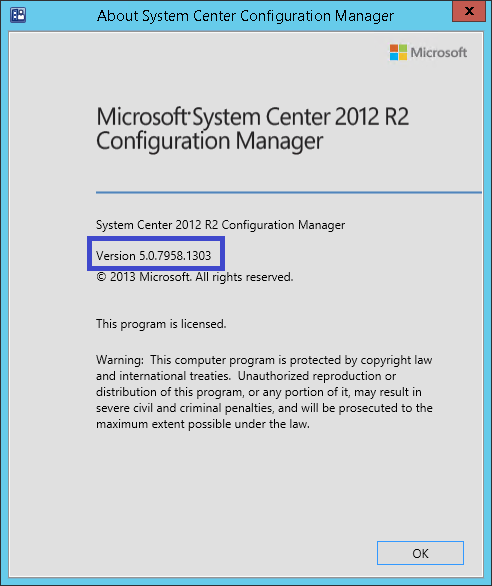 If the upgrade was successful, the build number will be 5.00.7958.1303. 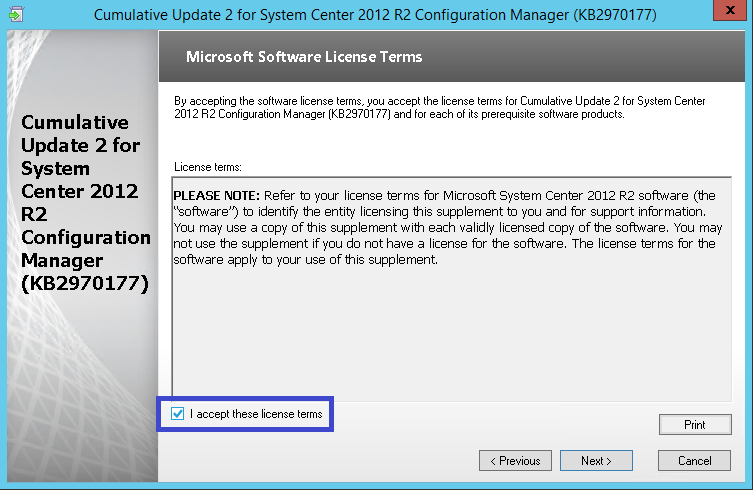 Open registry editor and check the HKLM\Software\Microsoft\SMS\Setup\ key. 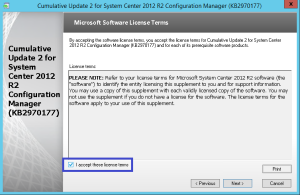 If the installation has succeeded CULevel key value will be “2”. You’ll see that your update packages are there. 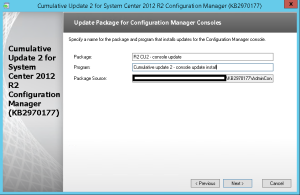 Go ahead and copy the packages to your distribution points. We now need to update the clients. 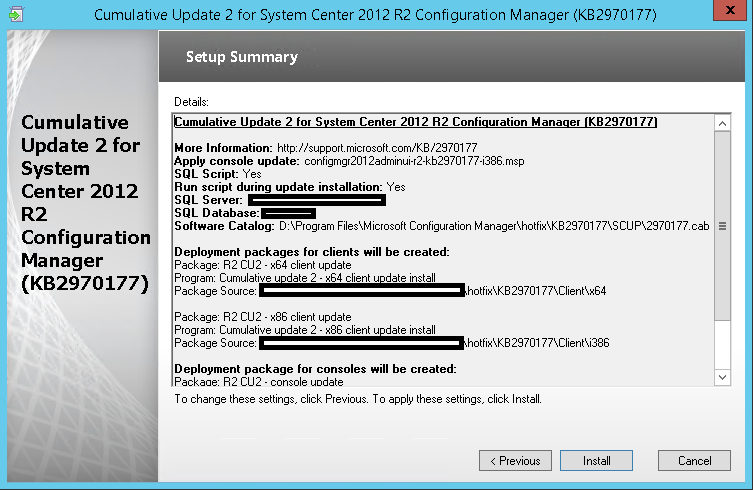 This update contains 2 update packages for client installations. One for 32-bit clients and one for 64-bit clients. 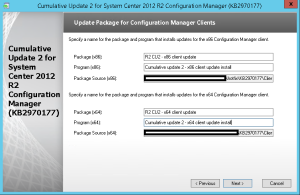 Adjust the package options to fit your environments and deploy the update to your clients. Once deployed I like to create a collection that targets clients without the latest CU. I use it to monitor which client haven’t been updated yet.